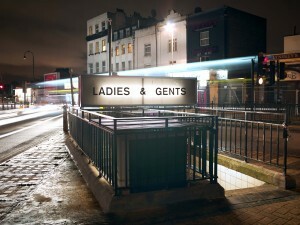 You may have noticed that London’s public toilets seem to be disappearing, this is because they are being turned into great experiences, intimate bars, restaurants and coffee shops. We have summarised the best 7 below. A nice and relatively small bar in the heart of Kentish town, opposite the Kentish Town Forum, and only a few minutes walk from Kentish Town underground station. The bar launched in January 2015 and is the brainchild of craft spirit producer William Borrell (owner of Vestal Vodka), this once disused underground Victorian Lavatory – Opposite the Kentish Town forum – is an architectural delight. The space has undergone an extensive renovation by Borrell in a part of town fast becoming a foodie and cocktail destination to rival Dalston. Ladies & Gentlemen is a neighbourhood bar that offers the highest quality cocktails based on a menu of homemade liqueurs and syrups, botanicals and herbs. They also have their own 16-litre copper still capable of producing 12 bottles daily of bespoke spirits on site, most notably, Kentish Town’s very own Highwayman Gin, available in the bar and bespoke stores. One of London’s unique espresso bars opened its doors in February 2012, serves food and is open 7 days a week. 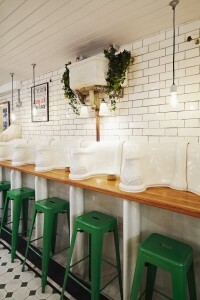 They have kept the original urinals as part of the atmosphere, a must try place for coffee or a quick bite to eat, with a menu consisting of brunch and lunch items and they have a philosophy focusing on cultivating a community, believe in ethical sourcing, provenance and sustainability to their ingredients. 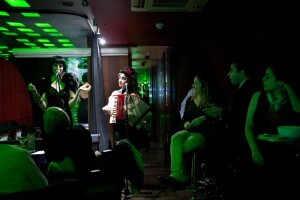 The bar is in the heart of Fitzrovia and between Oxford Circus and Goodge Street underground stations. It is also a short walk from the BBC Broadcasting house. A nice art-deco style cocktail bar catering for those in the arts. Open Tuesday to Saturday 18:00 – 02:00 with membership (providing special events and up to 50% off drinks) available for those of you in the arts and creative industries. 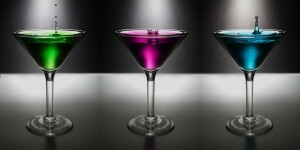 The bar is in the heart of Bermondsey near Tower Bridge, halfway between Borough and Bermondsey underground stations. A converted 1930’s toilet has become a great restaurant and cocktail bar in the heart of Homerton, they have recently opened a roof terrace for your pleasure. The food menu is a regularly changing collection of small and larger Northern Italian dishes, with fresh new cocktails. The bar is located a few minutes walk from Homerton Overground station. An intimate bar with live acts each evening, open from 16:00 to 01:00 am daily with the live act performances from drag queens to cabaret and burlesque usually starting around 21:00. It is a great little bar with an extensive cocktail menu, and best of all, the live acts are free although a 10% Late & Live charge is added to every drink sold after 21:00. Membership is available and includes discounts and member only offers. They also offer High Tease Afternoon on Saturdays and Kinema & Cocktails on Sundays. The bar is located in Aldwych, the heart of London’s theatre land and a short walk from Covent Garden underground station. Opened in April 2013, they received their first Michelin Star only 5 months later, offering the freshest seasonal British produce, an exclusive wine list and some great locally sourced British craft ales. Open for both lunch and dinner, they offer set menus and you should allow up to 3.5 hours for the Full Story dinner menu and we recommend you book in advance. They are located on the south side of the Thames near London Bridge station. A play on words with WC originally meaning Water Closet (old English word for toilet), but reused to mean Wine and Charcuterie which is what they offer now. 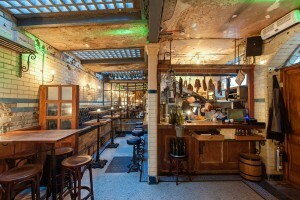 An ever changing wine list combining both new and old world wines, and their centre-piece has to be the food, which is a wonderful selection of cheese and cured meats from the UK and Europe. If that wasn’t enough, every Sunday and Monday between 20:00 and 22:00 they host live music with fresh and talented acts. It is located underneath Clapham Common underground station.